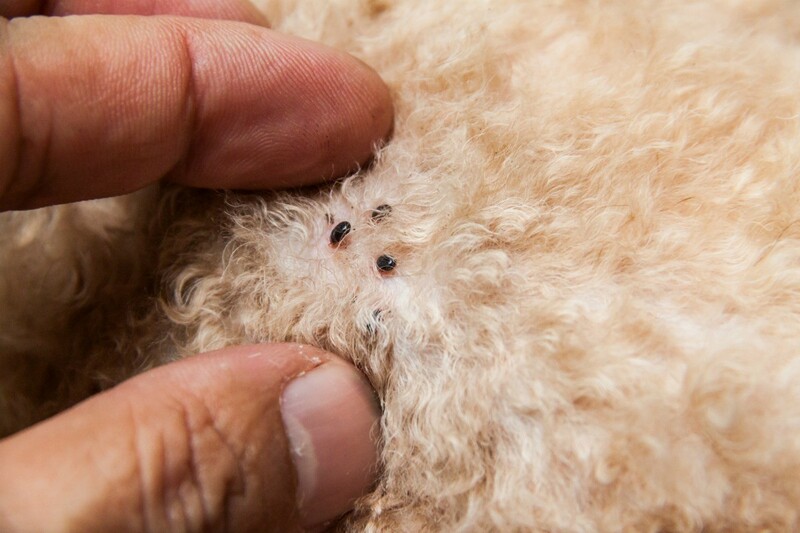 There are several products on the market for repelling and killing ticks on your dogs. Some pet owners also attempt to remove them manually, care needs to be taken to remove the head. Clean and disinfect the area after removal. This is a guide about remedies for ticks on dogs. I found this tick repellent which someone posted on Facebook. I am going to try the pet repellent formula which is as follows, and I might make a few changes. I am wondering how easy this will spray. 1 cup water to 2 cups distilled white vinegar in a spray bottle. Then add 2 spoonfuls (I will put teaspoonfuls) of olive oil into that mix. Then I will add two teaspoonfuls of lemon juice. Shake all up. All the ingredients are edible and not dangerous. I will buy a small bottle of olive oil, since I haven't bought a new bottle for a while. When outdoors for an extended time, spray two or three times a day. My dogs will probably get sprayed maybe 2 times a day. I am thinking they will lick the olive oil off their coats and get benefits from it as well. I won't get this near their senstive areas such as their nose and mouth or backsides. I also use a topical I get from amazon.com. Usually Advantage. I live in an area where there are a lot of ticks and I am looking for the best product to repel or kill ticks on my dog. There is a wide range of products selling for less than 20 dollars per 6 doses to over 50 dollars per 6 doses. I am looking for the type of product you put on the skin, not a flea/tick collar. Also, I have several cats, and a number of the products say not to use them on cats. My dog spends a lot of time playing with the cats and sleeping with them, so I am not sure if these products would be safe. I am looking for the product with good effectiveness and low cost. Fleas are not a problem. I am looking for something to provide tick control only. Thanks. I use Revolution once a month for both my dogs. It is an all around parasite application you put above there shoulder blade, and it protects your pet from heartworm. It's the all in one protector. Diatomaceous earth, garden grade, not pool grade. Safe for all pets and people, it punctures the skin of fleas and ticks, completely safe. Does vinegar and baking soda, which when mixed causes a foaming agent, kill ticks on a dog, or hurt the dog in any way? I work at a vet hospital, and we have Comfortis come in every once in a while to do a presentation. Unfortunately, Comfortis does not prevent against ticks. It's a flea only preventative. Thankfully they are working on something to use for ticks as well. goodluck! Can anybody give me a home remedy for getting rid of ticks on a dog? How do I get rid of ticks? My 2 dogs have ticks, mostly on the neck and underarms. In Malaysia is hot so ticks hide everywhere. What would work good for ticks on dogs? I use Comfortis on my dogs for fleas and ticks. Even with that they bring a tick in the house once in a while, but not often. I have a half Mastiff, half Great Ddane and I can't keep the ticks off her. Any home remedies out there any where? I suggest using liquid handsoap. Rub it in good around his neck and ears. If this is an outdoor dog, using cedar chips as its bedding will help keep the fleas and ticks away. I would use Frontline, which is not "homemade", but it will keep the ticks from getting on her in the first place. Garlic and brewers yeast in their diet: Diamond Low fat dog food (found in feed stores/Wilco) has the brewer's yeast in it, and my dog has never had one on him, even after running off into the woods for numerous hours! You can also get the brewer's yeast in bulk food sections or in "Natural Food" sections at major supermarkets, and sprinkle it on. My sister says it tastes good on popcorn, but I save it for Charlie! Garlic is poisonous to dogs. It's very toxic and it causes serious cases of anemia. Onions as well. Ask a veterinarian. Neem Oil: It's a natural insecticide and has antibacterial and antiseptic proprieties. It also repels mosquitoes which is the leading cause of Heart worms. Organic goat's milk soothes skin from previous flea infestation. Eucalyptus acts as a natural pet deodorizer. I actually do this remedy on my dogs. I have eight dogs and I'm seriously into organics. I even grow my own herbs. Peace, love, and good luck. I don't actually have a remedy (currently looking for one), but I do have something to say about Frontline Plus. I used it on my dogs, but the thing about it is it takes up to 2 days to kill ticks. It does not repel them only kills them once they attach to your pet. So if you have ticks in your home or yard it's really not going to help unless you get rid of the ticks in your yard and your home. Even then it still isn't 100% effective.